Almost a year ago now, on a blustery morning last autumn, my neighbour George stopped by to deliver 30 litres of fresh apple juice. He'd just crushed it himself, made from a ute load of golden delicious apples picked from a mate's old tree. 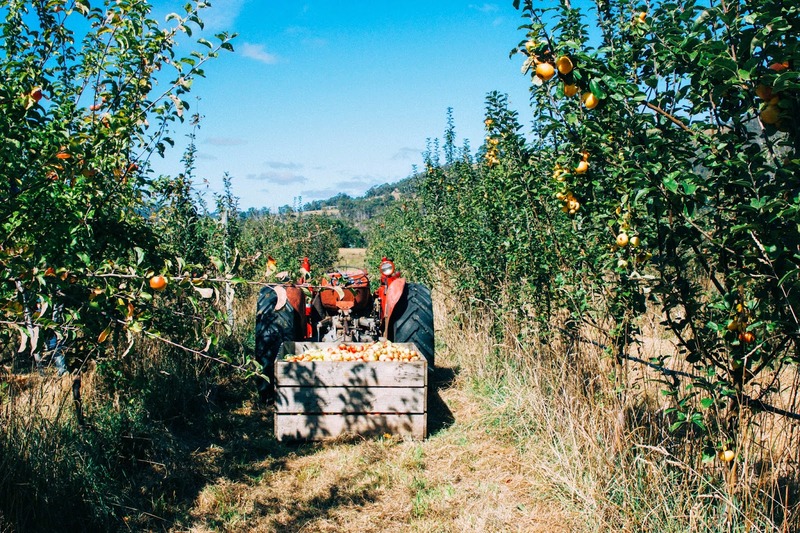 Intrigued at how one can crush a ute load of apples, I headed over to George's to see the set up for myself. There I saw a motorised apple muncher made with the blades of an old push mower, encased in a wooden chute, that chops the apples to a pulp. The pulp is then placed in a vintage wine press bought from an old Italian guy. 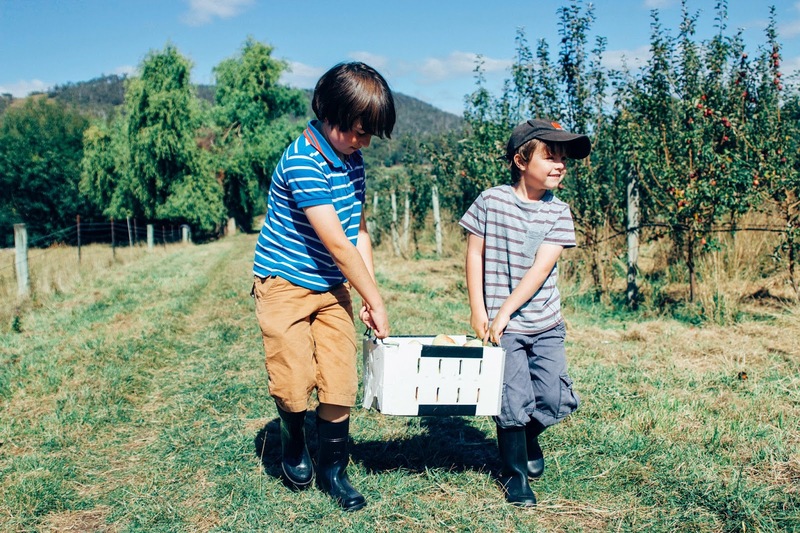 Impressed with the display of incredible resourcefulness that seems to be the spirit of the Huon, along with the flavour of the sweet cloudy juice, I asked if we could help next year, sure that an extra pair of hands would always be welcome. Which brings us to last Saturday, where as good things invariably do, this year's apple pressing day had become bigger and better. 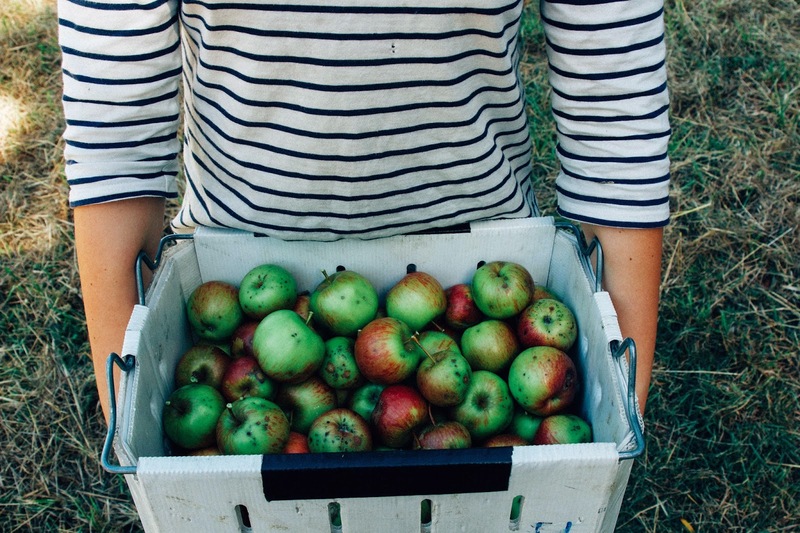 It took place in an actual orchard at the gorgeous Clifton Farm, (dating back to the 1850s, which deserves a blog post of its own) where there were several rows of cider apple trees that needed picking. Can you imagine? Old orchard, rustic timber sheds, heritage cider apples, sunny day and a covetable 70s Fergie tractor in the mix, heck I really was in heaven. With many hands we quickly picked about 800kg of apples, of about a dozen varieties whose names I can't remember except for Kingston Black. There where tiny yellow ones, big blousey green ones, small spotty red ones and decent sized stripy ones. Rest assured there was not a red delicious amongst them. 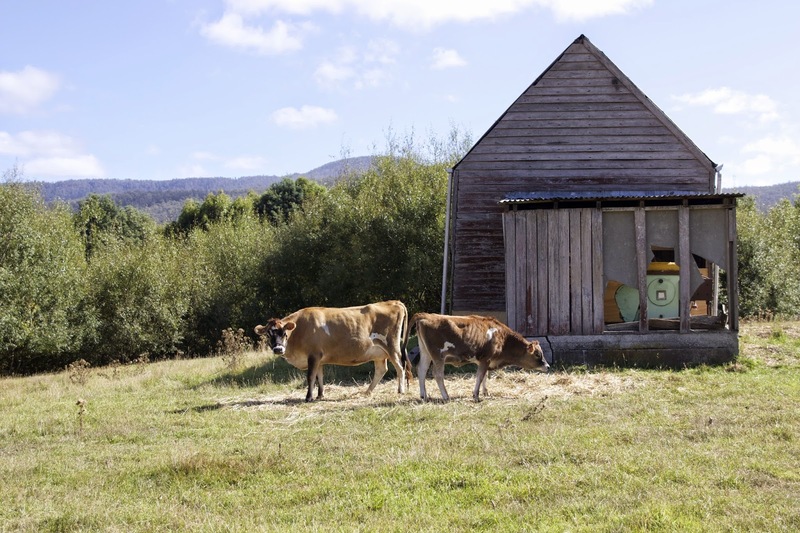 They made such a picture all mixed together in the wooden apple bins, before the tractor took them back to the crushing setup near the farmhouse. There, we fed apples into the chute, a job that all the children loved, then filled the press with the pulp and turned and turned the handle as the juice trickled out to fill the buckets below. 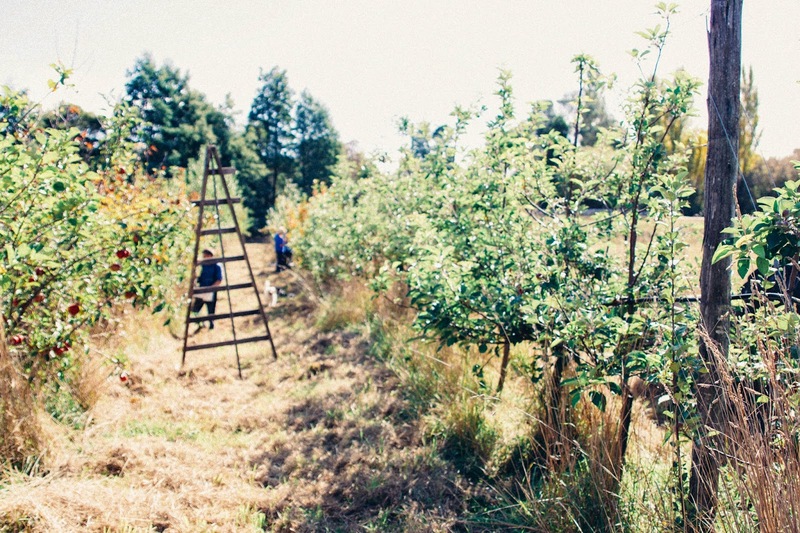 Although we drank plenty of juice as we made it, the real purpose of the day was cider making. And several barrels of juice was collected, while the happy chickens scratched over the plies of remaining dry pulp. "Community" is what the farmer said as we sat around eating a shared lunch of soup, bread and bramley apple cake. Four families working together to make something delicious. For me the day was also about connection. Doing something that generations of farmers had probably done at this very spot before us, brings a profound sense of connection to a place. This place called the Huon. It was grounding. It felt right. With our share of the juice we're having a go at making wild cider, exposing the juice to the wild yeasts in the air, following the method in Sandor Katz's book. Who knows if it will work, it's hardly the point. 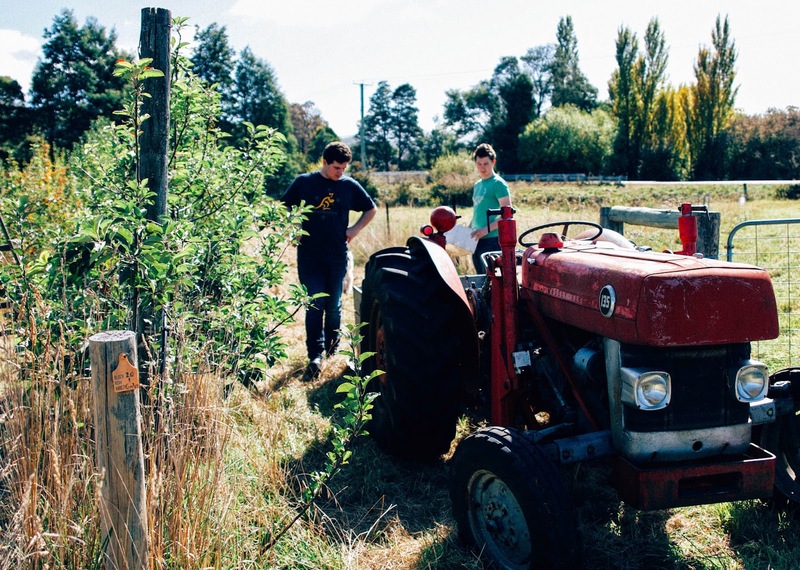 Being outside in the autumn sunshine, picking apples with family, friends and a covetable red tractor, excited children ("much more fun than passata day") and happy adults is what matters most. 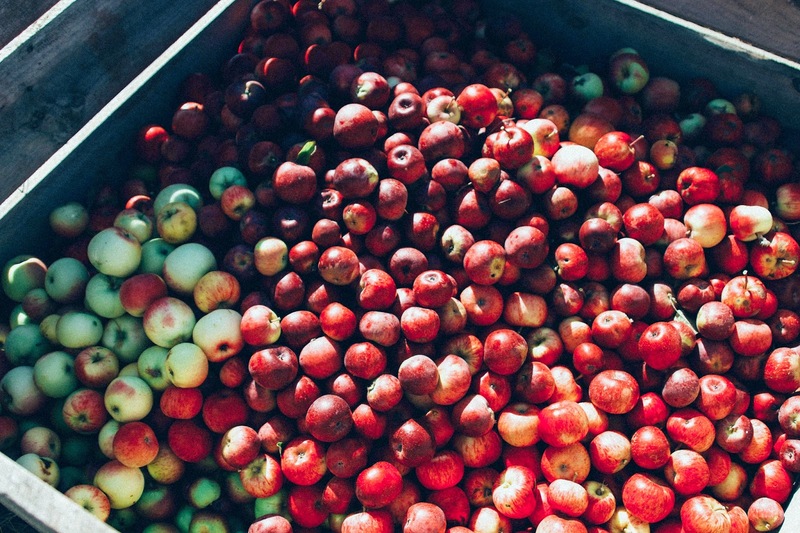 And if the cider doesn't work, well, there's always next year. How gorgeous! The photos, the location, the 'better than passata day', the 'hardly the point' if it doesn't work... love it all... lovely post! community and connection...truly the best way to live. 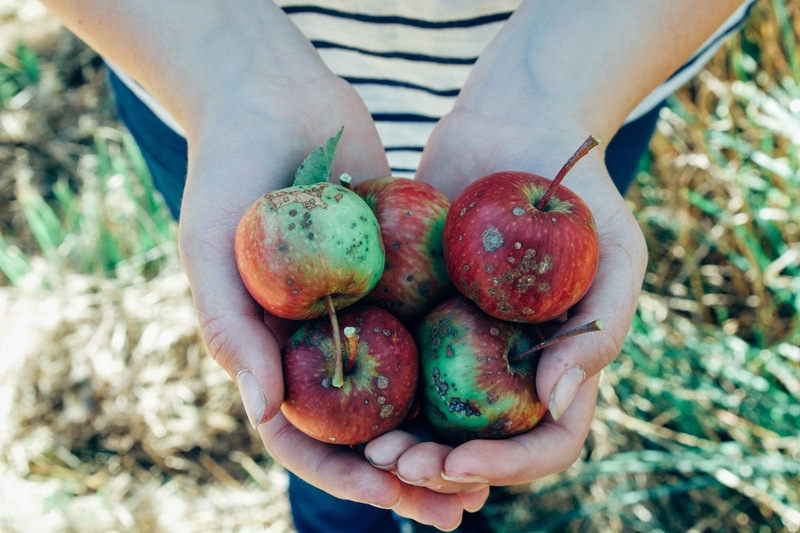 I would love a day at an old apple orchard...we recently moved to a very small southern town (in the US) and our property was part of the largest pecan/pear/fig plantation in the area. I can hardly wait for everything to start blooming...I would love to start a tradition of families coming to visit us for a day of picking and lunch. What a lovely tale. 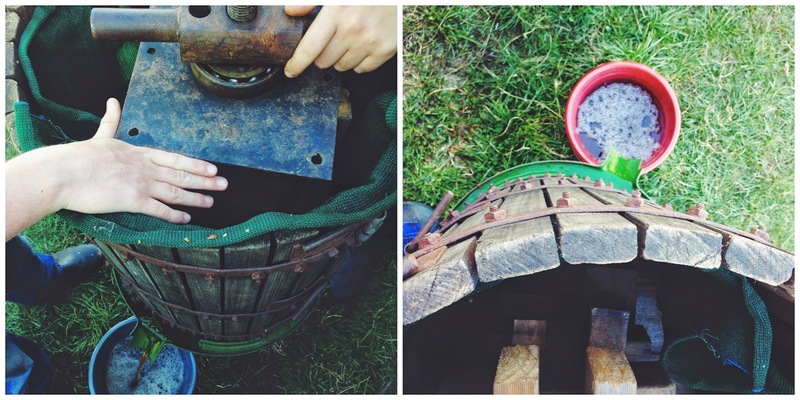 We just pressed our cider, from roadside scrumped apples and a press from my Italian step-grandfather. I've introduced a champagne yeast to half of the juice, with the other half left to do its own thing. We will see how it all turns out. Love it! We were watching an episode of River Cottage the other day where Hugh showed us a cider press - although they were using pears. Looks so delicious - and tactile! This sounds heavenly! I want to plant some apple trees but I'm not sure if they'd grow here. We seem to only see Red Delicious, Royal Gala, Fuji, Granny Smith & Pink Lady apples-I'd love to try some new varities-I have a feeling I haven't really tried a great apple yet.